Kids love to get outside and play. They can be amused for hours by kicking a ball around in the park or by simply charging around the back garden. However, have you ever considered gift ideas such as trampolines, bouncy castles or swing sets? 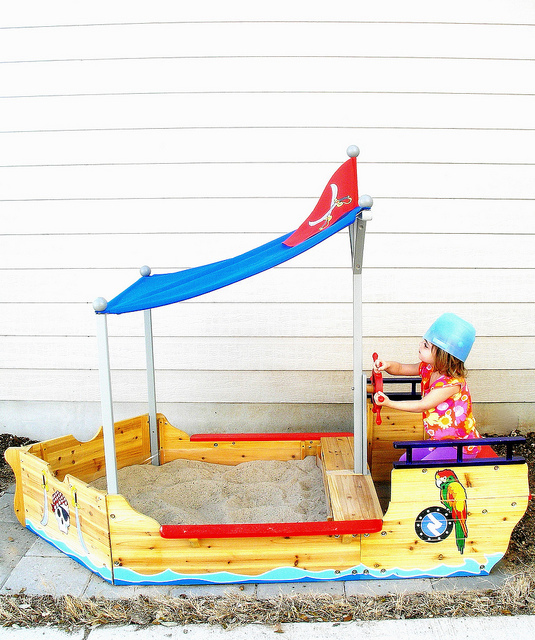 Children absolutely love toys that allow them to get outside for a little rough-and-tumble play. Whether your little ones want to try their hand at sports or just simply want to have fun running out their batteries, take a look at these great outdoor gift ideas for boys and girls of all ages and interests. A brilliant addition to your garden, trampolines are great for encouraging your kids to play outside and exercise. Not only do they increase your child’s co-ordination, balance and strength, they’re also fantastic for bouncing off all that excess energy! Buy models with a safety enclosure to help avoid bouncing on the metal springs. Kids just love to swing, and if you’re prepared to dig a few holes in your garden and have fun mixing the cement for the base, then installing a swing set in your garden is probably one of the best gifts you can give your children. Perfect for younger kids, sand pits encourage creativity and exercise and they’ll spend hours digging and making shapes in the sand. Most sand pits are made from premium timber so that they’ll blend into your garden with ease. For even more versatility, some models can be converted into a paddling pool or ball pit with the addition of a pool liner. An ideal outdoor toy for growing children, a bouncy castle is a fun, safe way to encourage social play and cooperation. Most models come with protective netting and high walls to help keep your little ones safe. Article contributed by ASDA Direct. I want a trampoline in the worst way, but it would make our homeowners insurance skyrocket, so it’s not worth it.